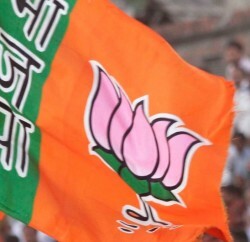 State BJP is gearing up for the forthcoming Mandi parliamentary Bye-election and its 14-member election committee has shortlisted Jai Ram Thakur, Ajay Rana and Ram Swarup Sharma as its candidate. Committee has authorised state president Satpal Singh Satti to recommend the name to the parliamentary board. Meeting was attended by national general secretary Jagat Prakash Nadda, state president Satpal Singh Satti, former Chief Minister Prem Kumar Dhumal, former state BJP chief Jai Ram Thakur, Khimi Ram, Pawan Rana, Rajiv Bindal, Ritu Sethi, Rajeev Bhardwaj and Vipin Parmar. 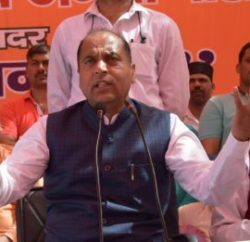 Whereas, former national vice-president Shanta Kumar, Hamirpur Member of Parliament Anurag Thakur, Lok Sabha member Birender Kashyap, Shimla legislator Suresh Bhardwaj and Naina Devi legislator Randhir Sharma had given slip to the meeting. 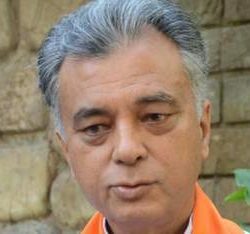 Ram Swarup Sharma, who is touted as organisational man seems a frontrunner for the ticket as senior leader and former state president and former cabinet minister in Dhumal government Jai Ram Thakur, has shown his reluctance for the election. However, he is a first choice of majority of leaders for the election. Sharma hails from Jogindernagar assembly of Mandi district and on the other side Ajay Rana is comparatively young. He was also state BJYM president.